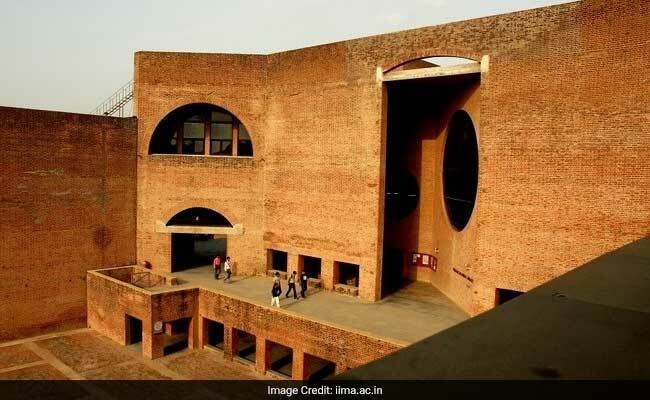 There have been no changes in the IIM Ahmedabad selection criteria for the past 3 years, including 2018. Only 30% of the composite score depends on the candidates’ academic profile, inclusive of 10th, 12th and graduation marks. Academic diversity garners more points due to the division of the applicant pool in 6 different academic categories – AC1 to AC6. AC4 & AC6 (Engineering, Architecture, and Technology ) have the highest cut-offs for a perfect 10 in the Graduation score. Work experience is not significant in calculating composite and final composite scores. There are no points for gender diversity in the IIM Ahmedabad selection criteria. The IIM Ahmedabad selection process is split into 3 parts. Candidates who meet the IIM Ahmedabad selection criteria and clear all 3 rounds receive admission offers from the institute. This comprises the screening of candidates based on academic history and calculation of the Application Rating Score. The following are the CAT cut-offs to be eligible for further rounds of selection. If the minimum CAT cut-offs are met, then an applicant’s Application Rating score can be calculated. AC 1 – Medicine and Surgery based subjects): MBBS, MD(USA). AC 2 – (Selected Professional Degrees): Chartered Accountancy (CA), Cost and Works Accountancy (ICWA), Company Secretaryship (CS). AC 3 – (All Commerce, Economics, Finance and Management Related Degrees): Including BAF, BBA, BBE, BBI, BBM, BBS, BCAF, BCCA, BCOM, BFIA, BFM, BHM, BHMCT, BIBF, BMS (Bachelor of Management studies) and BSBA degrees. (All Engineering, Technology and Architecture related Areas): Including BARCH, BE, BIT, BINFTECH, BS (ENG)/ BSC (ENG), BTECH and integrated MTech degrees (Excluding all degrees in Accessories Design/Apparel Production/Design/Fashion Communication/Fashion Design/Fashion Technology/Interior Design/Knit Wear Design/Leather Design, and BS/BSC degrees in Information Technology). (All Science and Agriculture related Areas, other than Medicine and Surgery): Including all BS/BSC and integrated MS/MSC (excluding Economics, Fashion Design, Journalism, and Leather Design. Also including degrees in dentistry, paramedical, veterinary degrees). AC 5 – (All Arts/Humanities Related Degrees, Design, Education, Fashion Design/Technology, Law and Rural Studies): Including any BA (excluding Economics, Geography and Geological Sciences, Mathematics and Statistics), BAA, BAJM, BCJ, BDES, BED, BFTECH, BJ, BJMC, BL, BM (Bachelor of Music), BMC, BMM, BMS (Bachelor of Media Science), BMus, BSW and LLB. Also including any degree in Journalism/Media Studies/Mass Communication. Consider a hotel management graduate (AC 3) with the profile (85/88/72). For this candidate, A = 8, B = 8, C = 8. Therefore, AR Score = 8+8+8 = 24. After the AR score has been calculated, the next step is to calculate the Composite Score. First of all, for a candidate to be eligible to be shortlisted for Stage 1, he/she needs to have met the minimum CAT 2018 cut-off, must have over 80%(Science)/77% (Commerce)/75% (Arts and Humanities) as the average of marks in 10th and 12th, and must have a good graduation percentage. The top 5% of students with the highest composite score from each Academic Category (AC1-AC6) will be called for interviews first. Only a maximum of 100 students from each academic category will be selected for this. As an example, let us look at AC 3 for Hotel Management, where we have calculated the composite score to be 0.8. If a composite score of 0.8 features in the top 5% of all AC 3 candidates, then that candidate will be called for the interviews first from the AC 3 category. The rest 95% will be selected in Stage 2. The remaining candidates will be shortlisted based on their composite scores and the cut-off set by IIM Ahmedabad. Final Composite Score = 0.50 (Normalised PI Score) + 0.10 (Normalised AWT Score) + 0.40 (CS). Candidates who clear the Final Composite Score cut-off will be communicated their results and will be given admission offers. Note – Although not mentioned on the IIM Ahmedabad official website, prior to AWT and PI, there is a short maths proficiency test based on quantitative questions to test the candidate’s aptitude for advanced mathematics. This has no influence on the candidate’s Final Composite Score or selection process in any way. It is done to gauge if a candidate requires additional support to keep up with the rest of the batch when the programme commences, as the PGP course is Quant intensive in nature. The IIM Ahmedabad selection criteria are complicated to understand, owing to the process of increasing diversity. However, what is absolutely clear is that there is a high weight for a candidate’s Personal Interview score. Candidates with a (90/90/85) profile from an engineering background with a high CAT score are likely to be selected for admission to IIM Ahmedabad. There is no special provision for gender diversity or work experience. Have questions related to CAT or MBA? Ask them on the InsideIIM Q&A Section!